Mix of white, transparent yellow and aqua, picasso finish. It looks green! Czech pressed glass large faceted rondelle beads measuring 6 x 8 mm. There are 25 beads per strand. 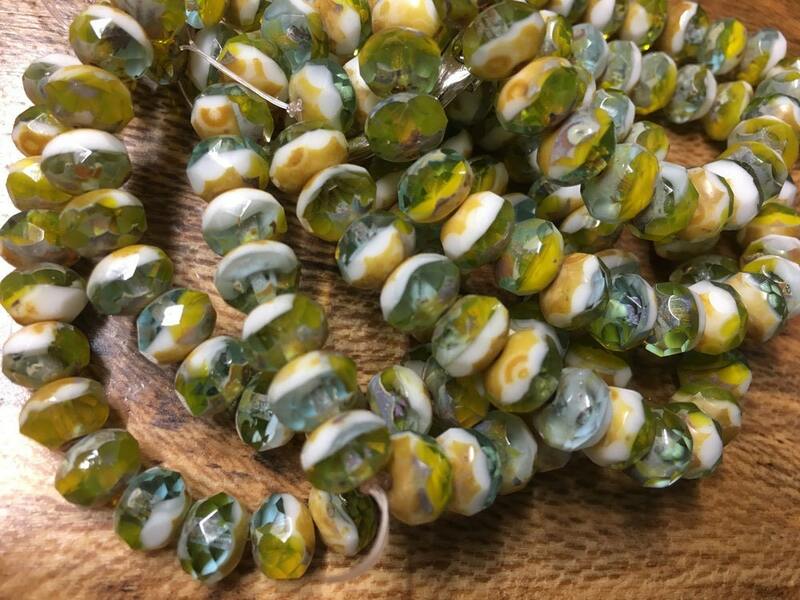 Love the color combination in these beads.